Australian marketers recognise the need to drive customer loyalty, but a disconnect between the goal of customer loyalty and measuring this loyalty is causing programs to be ineffective. A global study commissioned by Collinson and undertaken by Forrester Consulting, Taking the Measure of Loyalty, reveals the majority of global organisations do not utilise loyalty programs effectively and miss out on the opportunity to improve the overall experience at every customer lifecycle touchpoint. Sixty-eight per cent of respondents said they have a cohesive loyalty strategy that spans multiple functions and is a top strategic initiative with c-level support. However, the research highlighted a misalignment between the goal of loyalty initiatives and what the measure of their success is. While customer satisfaction is considered essential to success, the top two priorities, however, were found to be customer acquisition (54 per cent) and customer retention (46 per cent), while the second lowest ranked goal overall was customer satisfaction, at just 32 per cent. In terms of customer strategy goals overall, 68 per cent want to increase advocacy but only 40 per cent are measuring it, and only 37 per cent measure brand affinity when assessing the impact of their strategy. While 69 per cent of respondents believe that their loyalty strategy impacts their customers while making a purchase, only 33 per cent deliver contextual offers during the buying stage and even fewer provide instant access to coupons and reward redemption. The research also reveals more than two thirds (67 per cent) of brands are only conducting loyalty-specific market research occasionally to build a greater understanding of who their best customers are. Therefore, 63 per cent of brands don’t have a deep understanding of why their customers are loyal. The good news is Australian organisations are leading the way in the APAC region in driving loyalty success and customer engagement. More than half of Australian businesses are putting a higher priority on capturing better data for customer knowledge for use in business decision making. Of those surveyed in Australia, 74 per cent of organisations track and analyse the interactions between their loyal customers and their brands with the aim of improving the overall loyalty experience based on personalised, relevant content. Fifty-three per cent of Australian respondents provide member-only events for their loyal customers, compared to just five per cent in Hong Kong, seven per cent in Korea and 11 per cent in mainland China. Of the Australian survey respondents, 72 per cent say they intend to increase spending to improve customer experiences in the next 12 months, and 74 per cent of organisations track and analyse the interactions between their loyal customers and their brands with the aim of improving the overall loyalty experience based on personalised, relevant content. The research reveals that Singapore is the best performing market when conducting regular loyalty-specific market research to better understand their customers, this is followed by Australia (65 per cent), Japan (58 per cent), with the lowest being Hong Kong (47 per cent). Remarkably, the majority of countries in APAC fail to make their loyal customers feel valued and special, typically because they are not providing exclusivity and convenience to loyalty program members. Unfortunately, only 30 per cent of respondents overall are adopting experiential benefits in their loyalty programmes, and Australia has the highest percentage (43 per cent) among the surveyed markets in APAC. Collinson executive vice-president of APAC, Mary English, said today’s consumers want to buy from brands that offer convenience, relevance and a positive experience. “Incorporating the data insights on customer behaviour into the customer lifecycle engagement strategy will improve the success of a loyalty program, strengthening its effectiveness and return on investment,” she said. “Customers are drawn to the ease of participation and the rewards available in a loyalty program, or they would not bother joining. 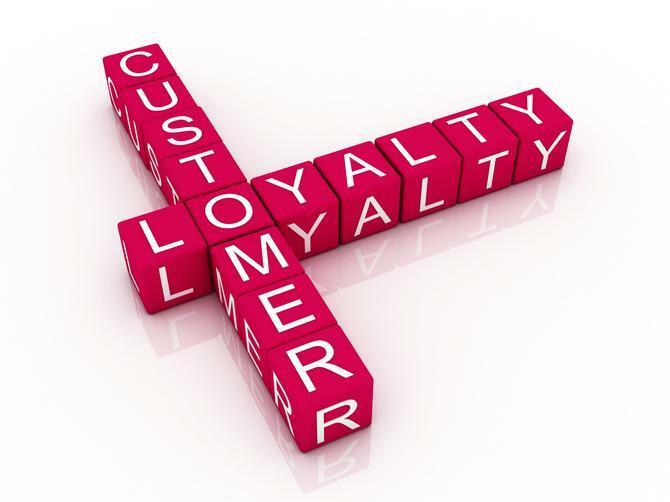 It is about taking your loyalty strategies to the next level and creating unique and special experiences for the customer that removes common pain points and makes their lives easier. Designing a loyalty proposition based on the customer experience is the foundation to successful loyalty initiatives. The survey was aimed at decision makers in organisations with revenue exceeding US$300 million. Conducted in April 2018, the survey included a range of respondents from the UK, USA, France, Hong Kong, China, India, UAE, Singapore, Brazil, Australia, Japan, Korea, Indonesia, Saudi Arabia, Mexico and South Africa. There was equal representation from the retail, travel and financial services sectors.